At this time of year, I like to walk through the aisles of the toy stores in my area and pick out the dolls and accessories that I think would make the best gifts. I don't have many doll lovers on my actual shopping list this year, but I still like to see what new items are in stock for the holidays and choose my favorites. Most of the time I just make a mental note of the items I like best, but this year I purchased a few of my selections so that I could share them with you here on the blog. I have been keeping a close eye on the 18-inch play dolls that are available near me (Journey Girls, My Life As and Our Generation). While all of these brands have something new to offer for the holidays, Battat's Our Generation line is by far the most appealing to me. 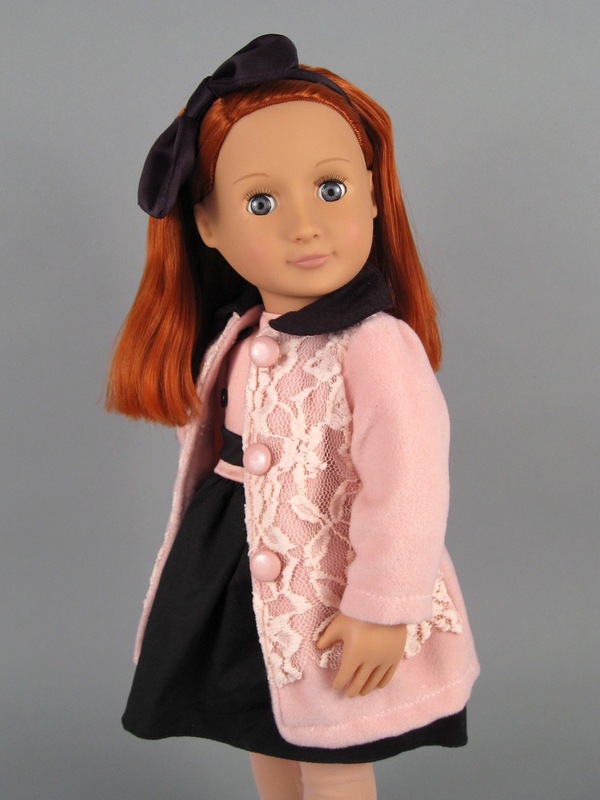 I feel great about purchasing dolls from this company because I know that they use only recycled and recyclable materials in their packaging, they promote charitable work, and they avoid using harmful chemicals in the production of their dolls. 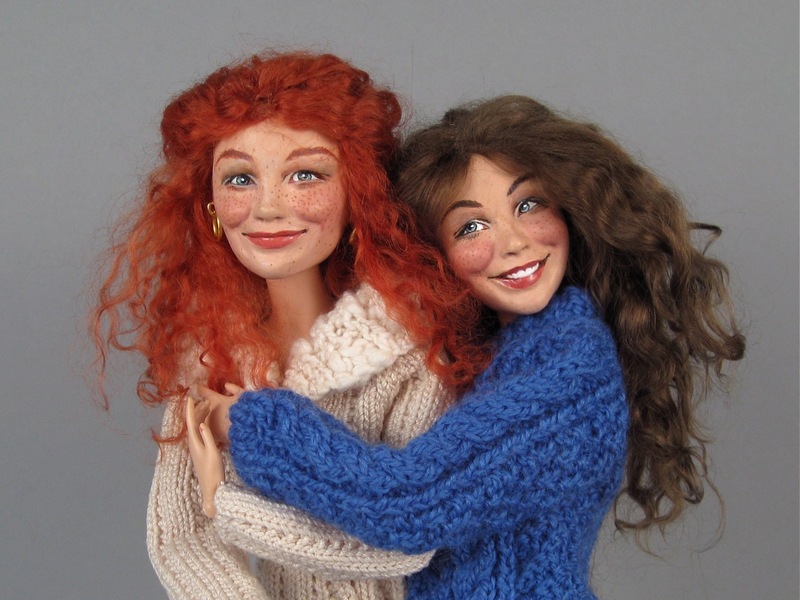 I also think that the Battat dolls are very attractive and well-made for their reasonable price. Furthermore, whenever I am visiting my local Target store, the Our Generation section always seems to have the most constant stream of young admirers. Our Generation Retro Doll "Joy," with pieces from the "Winter Wonder" outfit pack. It's hard for me to believe that November is half over already! There is so much excitement at this time of year in my house, with Thanksgiving right around the corner, the academic quarter ending, the first snowfall of the season, the big musical production at our high school, visits from family, and of course the beginnings of holiday shopping. Amidst the happy pandemonium of the next couple of weeks, I'd like to try and do some shorter reviews of the dolls and toys that seem especially popular or interesting this holiday season, but I also want to squeeze in a few more guest reviews before I get too busy. 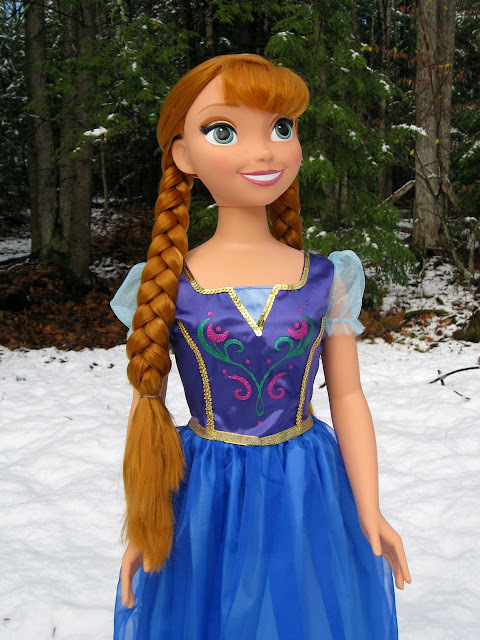 This Fusion post will attempt to address both goals: I have two really neat guest reviews to share with you, and I'll also offer my own quick evaluation of one of the most sought-after toys in this neck of the woods lately: My Size Anna. My Size Anna (Target, $59.99). Today's post will not be a traditional review, but more of a showcase for a special kind of doll that I learned about recently: Wildflower Dolls. These dolls have handmade, limited edition heads mounted on highly articulated brand name 1/6 scale bodies. As you know, I am a huge fan of highly articulated doll bodies, but it is the extraordinary faces of the Wildflower Dolls that have enchanted me. Kate #45 (left) and Tara #32 (right) by Wildflower Dolls. I am happy to have another Review Fusion post for you today! It's been a while since the last one, so I'll quickly re-introduce this concept. These eclectic, multi-author review posts are my way of highlighting guest reviews and incredible stand-alone pictures that have been sent to me. These posts tend to produce unique and unexpected combinations of dolls and toys. For example, today I have a great review of the new My Life As Camping set for 18-inch dolls, an in-depth look at a rare Sabrina the Animated Series fashion doll, and a mix of little blind box goodies (including Shopkins and Unicornos) that I have accumulated myself in recent weeks. 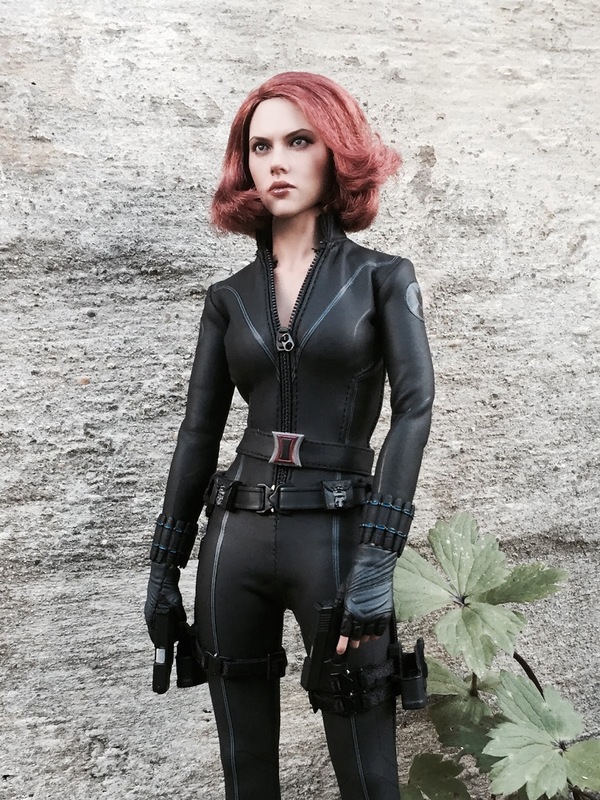 The Avengers Black Widow by Hot Toys. Photograph by Severine, used with permission.